I have not received any letter from you for a long time. How are you getting on at school? I have received a bad report about you from your principal. He says that you always play with bad boys at the cost of your lessons. 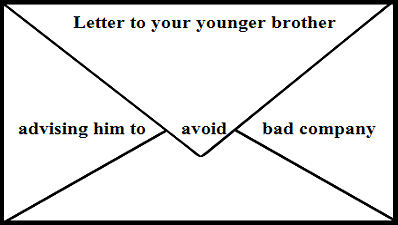 As an elder brother. It is my duty to warn you in time. I wish to see you as an able young man. You were sent to school to learn, not to enjoy yourself. If your waste y our time now, you will repent afterwards. You must work hard and always keep away from bad boys.